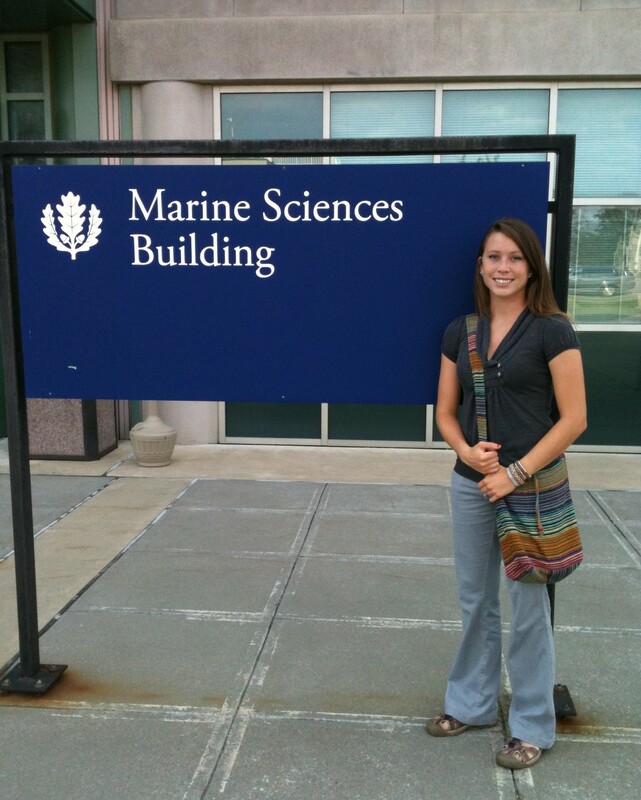 Emily Seelen is pursuing her PhD in oceanography within the University of Connecticut’s Department of Marine Sciences. Becoming a respected scientist can be a challenging process, but it’s a process that Emily Seelen ’13 seems to be excelling at. After gaining valuable experience in the research labs at Gustavus, Seelen is now pursuing a PhD in oceanography at the University of Connecticut, and was recently awarded a prestigious graduate research fellowship from the National Science Foundation (NSF). This is not the first time Seelen has been awarded a fellowship as she also received a Greater Research Opportunities Fellowship from the Environmental Protection Agency in 2011 when she was a junior at Gustavus. A native of St. Cloud, Seelen graduated from Gustavus with a double major in biology and environmental studies. The fellowship will provide Seelen with a three-year annual stipend of $32,000, a $12,000 cost of education allowance for tuition and fees, along with opportunities for international research and professional development. Seelen’s research at Connecticut will focus on methylmercury, a compound generated from inorganic mercury that is highly toxic to fish, human consumers, and other aquatic wildlife. Her methodology will include manipulating marine sediment samples from Long Island Sound to study how different environmental factors, including climate change, impact the propagation of methylmercury in the food web. 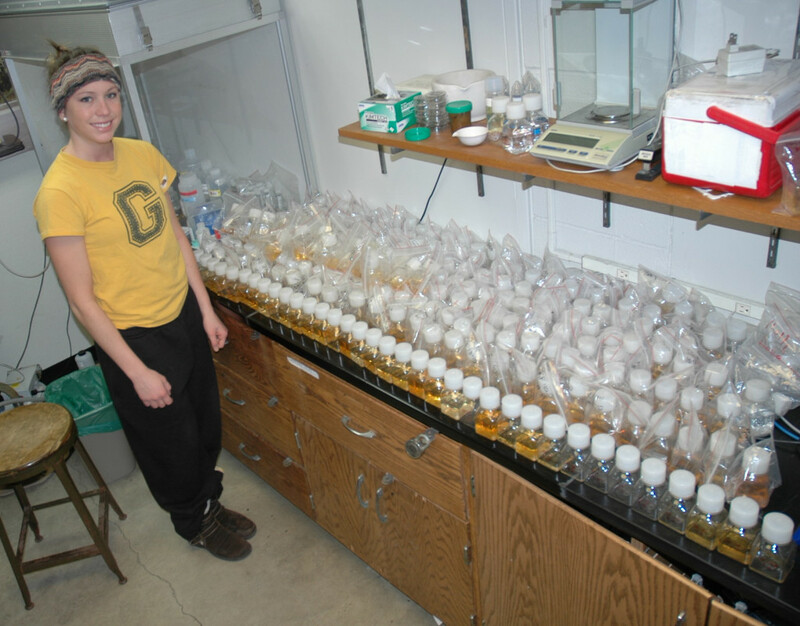 Seelen working in a lab at Gustavus. At this time, Seelen is unsure of where this research and her PhD will eventually take her career, but she is sure about one thing. Seelen’s adventure with science started at Gustavus where she says she discovered her true passions, both in and out of the classroom. 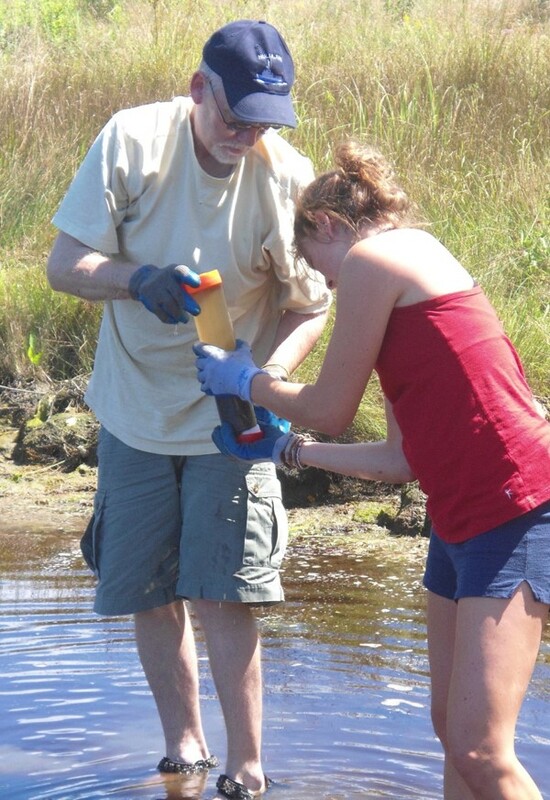 Seelen conducting field sampling in Maine. Seelen achieved that level of self-confidence by working closely with Triplett and fellow Gustavus professor Jeff Jeremiason. One of the advantages of attending a private, liberal arts college like Gustavus is the opportunity students have to collaborate with world-class faculty on research projects as an undergraduate. Seelen took full advantage of those opportunities.